Hello everyone, I decided to try to participate in #mapvember challenge! The goal is to draw a map every day of November. The Northern road that leads to the great city of Falgoba runs along the cliffs and passes just beside the lighthouse. I couldn’t resist climbing to the top and draw a plan of this old building. For more than a hundred years the lighthouse guided ships toward the port of Falgoba. A luminescent crystal, placed at the top, recharges by the sunlight and shines more intensely than any flame at night. As I took the time to make a sketch of the bay from the top of the lighthouse, I witnessed the sudden formation of a thick fog. I think I have distinguished masts in the heart of the cloud. I am convinced that this strange vision is linked to the numerous recent attacks on local ports. 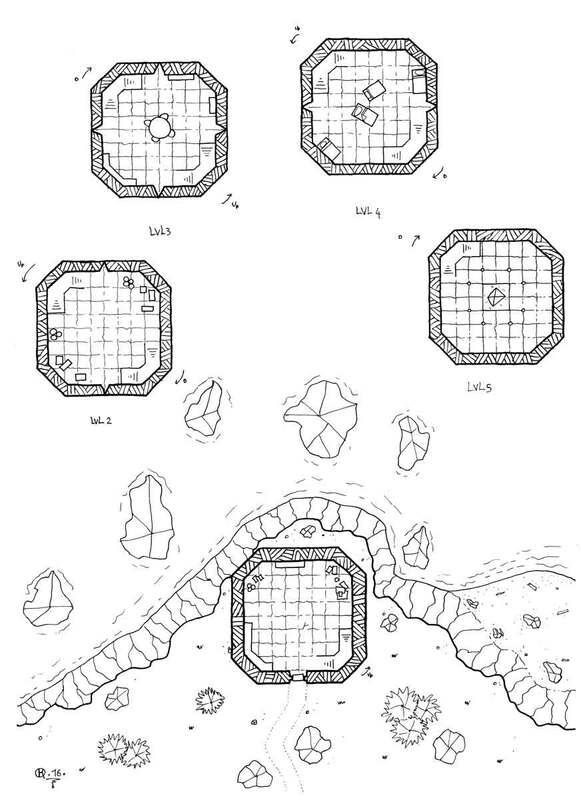 Excerpt from “Architecture of the Old World” by Ocreoth Motbar, “Nomad Cartographer”.